There are thousands of articles out there teaching you how to write a college paper, but today I want to focus on those things you SHOULDN’T do. In a professor’s eyes, these are mistakes that could literally land your paper in the trash can. I had one professor go so far as to say he would give an automatic 50 percent to anyone who made one of these mistakes, and a 0 percent if two were made (I’m not kidding). 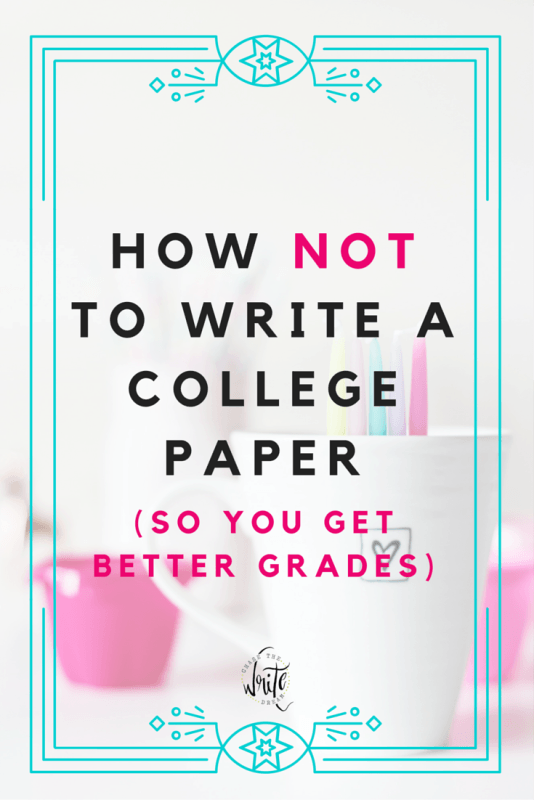 So the next time you are sitting down to start writing your college paper, look over this list and make sure you haven’t committed one of these no-nos. By doing so, you’ll save not only your grade, but your reputation as a proficient writer as well. Wikipedia may be able to give you the birthdate, height, film history, relationship status, and every other piece of information about your favorite celebrity, but it’s not the place to get reliable statistics and information for a college paper. You’ll also want to avoid other generic news sites, especially those that publish opinion articles. Now, if you do find some awesome statistics on CNN that you would like to use, try finding the original source where the data came from. There should be a link within the article that directs you to the study or appropriate website! Another method I like to use when I write a college paper is to only go to websites that end in .org, .edu, or .gov, with extra emphasis on the last two. Ultimately, the best place to find valid research for your paper is to use your school’s library, specifically the online databases. There, you can filter the results to show only those articles that are peer-reviewed, published within a certain timeframe, and available for PDF download. It’s common for students to struggle with formatting a college paper because it’s not something that was really taught in high school. Additionally, many students have to now learn how to write in APA format, or another style. Unfortunately, if you turn in a paper with improper formatting, you’re probably going to get docked a decent amount for not having the paper organized appropriately. In fact, I’ve seen professors mark off an entire letter grade for making this mistake! To save yourself some time and stress, really focus in on getting the formatting right on one paper. Sites like the PurdueOWL are a great resource to make sure all your in-text citations and references are on-point. By getting the formatting right the first time, you can now use it as a template for the rest of your papers! Simply replace the text you’ve written with the updated text for the next paper you need to write. It’s a simple trick that saved me TONS of time when I was in school! At this point, the simple method is to just start using some filler content to beef up your word content. This might mean rephrasing sentences so they’re longer or inserting entire sentences that bring no value to the paper itself. Instead of relying on that useless content, take a few minutes to go find some research that can better support the points you have made. For example, if I made a stand against changing the drinking age, then I could better support my stance by finding statistics that show how many deaths result from drunk drivers every year. Having a tangible number to look at is so much more appealing than some nonsense words. Even better, it will show your professors that you’re capable of conducting quality research and tying it in to the points you’ve already made in your paper! Unless you are writing a personal narrative, there is no reason that you should be using the words “I” or “me” in your college paper. The whole point of these assignments is to demonstrate your ability to connect ideas from scholarly resources and formulate solutions or assumptions that make sense academically. When you start using “I think” statements, you’re actually discrediting your work. Take a moment to go look at some studies in academic journals. You’ll notice that the researchers focus on correlations and how they resulted in the acceptance or rejection of a hypothesis. They let the outcomes do the talking rather than themselves. So, the next time you write a college paper, stop and check yourself. Are you using “I” statements or are you using the research to tell the outcomes instead? If you were given a grading rubric, you literally have the Holy Grail in front of you. This document tells you everything you need to know about what is expected of you. Unfortunately, most students don’t take the time to read through it, or use it in a way that is helpful. Instead, it often ends up shoved in a corner somewhere, never to be touched again. The student then goes on to write a paper that they think fits the guidelines. Sometimes this works, but oftentimes it doesn’t. Rather than ignoring your rubric, have it out in a visible space next to you while you’re writing. As you go through your paragraphs, line them up with whatever rubric section they fit with best. This is a great way to organize your paper so that it flows smoothly! Another thing I recommend doing is using some of the keywords in your rubric section headings in your paper headings themselves. This shows your professor that you’ve covered the idea rather than having them guess at which paragraph supposedly addresses the topic. Let’s say one of the rubric grading section is Analysis of Supporting Evidence. In your paper, you could literally use Analysis of Supporting Evidence as one of the headings. You would then go on to analyze the evidence you presented earlier, backed up by research. Friends, this is such a simple thing but it’s so widely overlooked. When I was doing peer corrections in grad school, I caught spelling and grammar errors in almost every paper I reviewed. The reality is that as great as technology is, it’s not perfect. Do yourself a favor and take the time to read your paper out loud and then backwards to catch any errors you might not have noticed before. You might also want to send it to a friend for additional editing and suggestions. You can literally never have too many eyes on your paper because once it’s submitted, that’s it! Interested in learning more about writing a solid paper? 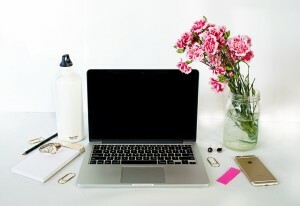 Read How to Make Your College Paper Stand Out (in a Good Way)! When you write a college paper, what are your methods for making sure you submit only your best work? YES. So true. Everything you said here is right on! My husband and I both loved this post! It’s amazing how many mistakes can cost you so much but are so easy to avoid!